Staff was amazing and helpful, specially the manager. It was a snowy night in Durham, but heavy snowfall wouldn't keep me from the local Nando's during my one night stay. First thing to comment on is the terrible Watersgate car park. It is poorly signposted on nearby roads, the entrance has a misleading no-entry sign by it, there are no signs at all to the pedestrian exit, and no signs at all to the exit when driving. I have never seen such a poorly managed car park in the UK! Entered the restaurant, and was seated almost immediately. The restaurant itself hasn't changed since the last review. This time however, I was sat on the ground floor, so therefore couldn't people watch as well as I managed last time, from the upper level. It appears that in quiet times this area is closed off, with the door leading to this section locked at the time of visit. I was sat in a corner table, situated close to other tables, which are all spaced along a side wall. Nandos Durham was overall a pleasant experience. Having made it my mission to scout this one out, I was looking forward to visiting. Walked in, and was welcomed in open arms by the welcome host. The resturaunt is split on two levels, the ground, and first floor. I requested a table on the first floor, which they accommodated easily. I was given a table overlooking the resturaunt, which was great, especially if you like people watching like me! Been a loyal customer since this branch ever opened discovered it by mistake as I thought it would be like KFC how wrong was I!!! The staff are brilliant always make you feel welcome and the service is second to non even though its always busy. Food is always hot and good. I'm sure if you had any problems they would sort it out I've been going there now for 6 years and no problems. I just can't get enough of the place. The hygiene is brilliant too. Overall a brilliant franchise!! Due to Durham's ludicrous road system we had to cross over the bridge a few times and also go round the houses quite a bit before we were able to find the car park for this leisure and retail complex. We eventually found the multi storey car park entrance off the waterfront next to a travel lodge. Parking was only 1.50 after 6pm but a lot more expensive for a daytime visit. We took the lift to the top which then comes out on road level due to the hills of Durham. I obviously went to this branch because it’s apparently the second best in the country… Sigh… Well we went for a really late lunch, about 16:40, we’d travelled for an hour on delayed trains to visit this branch and it was sooo disappointing! The branch was almost empty when we got there, only 3 other groups of people there. Amazing restaurant! perfect food and super friendly staff, love love love Nandos Durham! Would definatley recommend to all of my friends and family. Right in town so can go straight on the Lash. The red pepper dip is outstanding, and with parking in the carpark you get a buy one get one free starter!! Perfect! The butterfly chicken is to die for, and it very juicy and soft. As well as our twice a week visits (to this branch alone) we always go before visiting the cinema over the road. Free parking after 6 about a 4 minute walk away which is great after a lovely Nando's! Always recognised and given a lovely table :) Love Nando's Durham! Stopped in for a spur of the moment lunch after a morning at Uni - great service and very friendly staff. Restaurant clean and well organised. Absolutely hit the spot! Despite me being a university student at Durham, I manage to go to Nandos almost every day! It's still my first term, and I've gone at least once a day and have had to hand it over 10 whole chicken cards. At this point, I'm getting discounts, some free food every now and then (because of my loyalty), and whenever I come, I get to choose where ever I want to sit. And on top of that, when I come with friends, I am always given the best spot with the shortest wait-time. The Durham Nandos, set within the newly designed Walkergate complex should be a model to all Nandos. The majority of customers are students, dictated by the surrounding population. It therefore makes sense to have students, whom are on the same 'level' working within the restaurant. 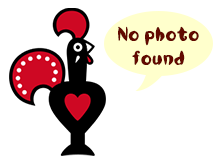 The staff were friendly, the restaurant, (like all Nandos) was clean and the food, as always, was great; although I must admit that I have never had a bad Nandos experience.